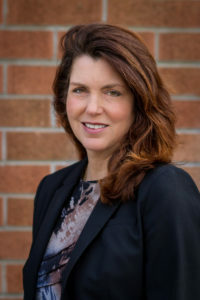 Bohan - Joelle Delbourgo Associates, Inc.
Suzanne Bohan is an accomplished health and science journalist, with an expertise in covering health inequities. From 2000 to 2012 she covered science and health issues for the largest newspaper chain in the San Francisco region, the Bay Area News Group. Bohan has won nearly 20 journalism awards, including the 2010 White House Correspondents’ Association Edgar A. Poe award for the series “Shortened Lives: Where You Live Matters.” She previously worked for the Sacramento Bee, and the Los Angeles Times, Washington Post, Boston Globe, Miami Herald, San Francisco Chronicle and other newspapers nationwide have also published her work. Bohan’s first book, 50 Simple Ways to Live a Longer Life was published by Sourcebooks in 2005. In April, 2018, Island Press will publish Twenty Years: Why the Poor Die Earlier and How to Challenge Inequity. Bohan has a master’s degree in journalism from Stanford University and a bachelor’s degree in biology from San Francisco State University. She lives in Northern California with her husband.